It has been a sporting cupcake month here! To coincide with the Tour de France this year, my friend organised a cycling challenge. During the 21 days that the Tour was running a group of us were challenged to ride as many kms as we could. We could do this by means of road bike, mountain bike, exercise bike, spin class…..whichever suited our lifestyle and weather. Each of us donated $20 and got pedalling. The person who rode the most kms during that period chose the charity/organisation that the entry fee would go to. With a whopping 809.6kms, my husband won! As a group we rode just under 3000kms!!! The organisation that Rick and I chose to support was the sponsorship of an Orangutan at Taronga Zoo via our kids school. 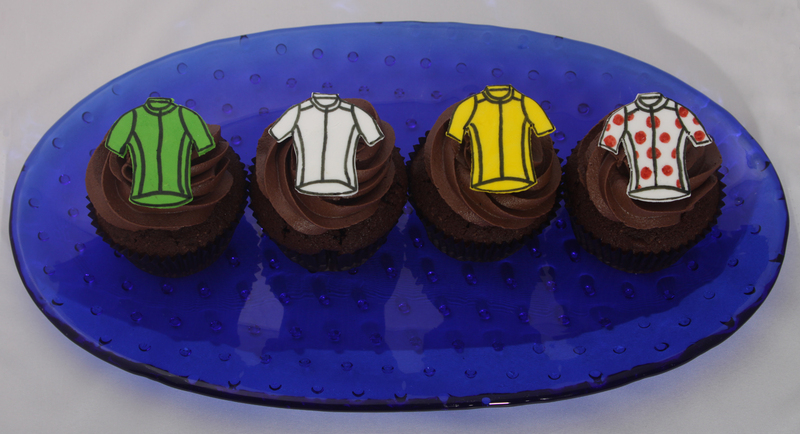 Anyway, here are some cupcakes I made during the challenge sporting the Tour de France jerseys. This month also brought about the end of the netball season for my daughter’s school team. 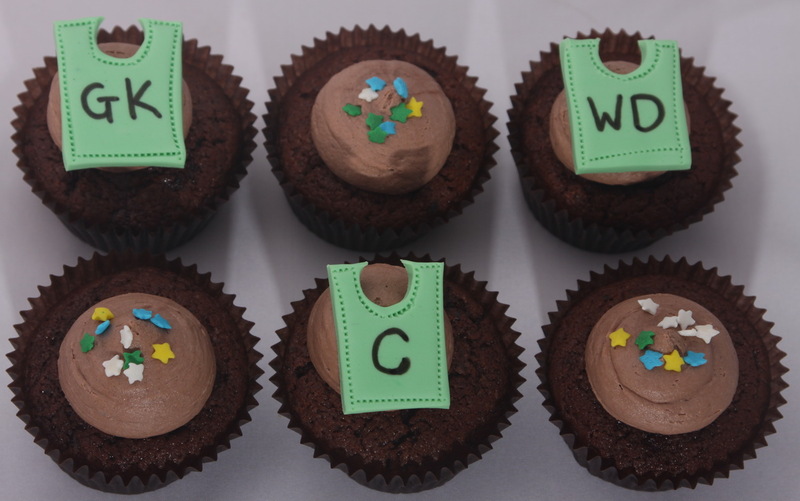 As part of their end of season celebrations they had these cupcakes adorned with netball bibs. 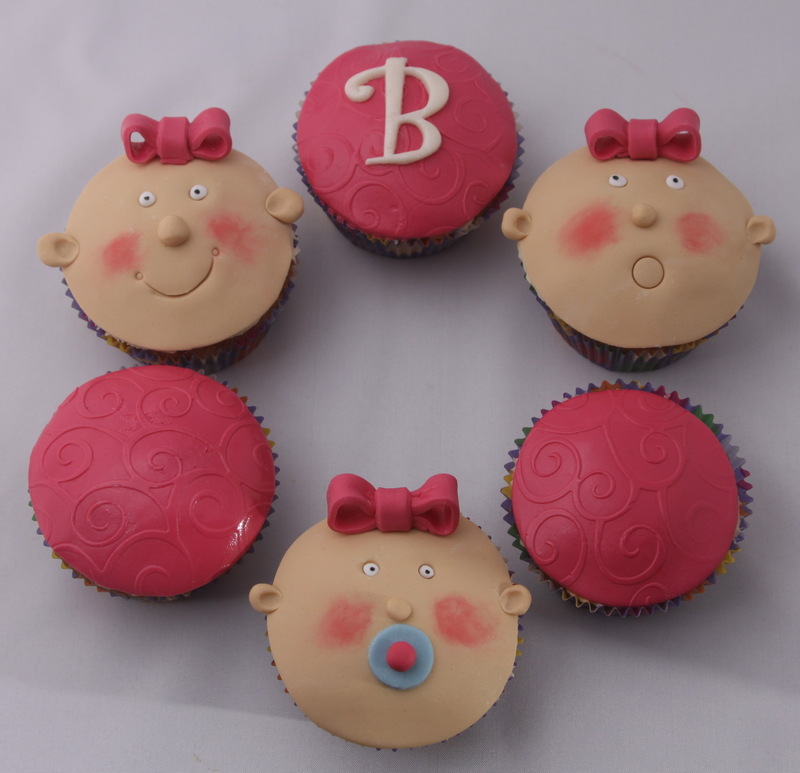 A new baby in the street gave me the chance to make some cute baby cupcakes. After three boys my neighbour had a girl!!! I have a wonderful friend who shares a passion for all things food with me. He regularly sends me recipes and links to food related posts from all over the place. Way back in October 2008 he sent me a wonderful recipe for Bliss Balls and we have been making them in our house ever since. These can be made dairy free if you choose your chocolate carefully. So quick and easy to make and the kids love them. In a medium-sized mixing bowl combine the tahini, peanut butter, syrup, raisins, chocolate chips and cocoa powder. Lightly toast the sesame seeds, sunflower seeds, and coconut in a dry pan. Set aside to cool for ten minutes and then add to the mixing bowl and mix well. Form into small balls by hand. 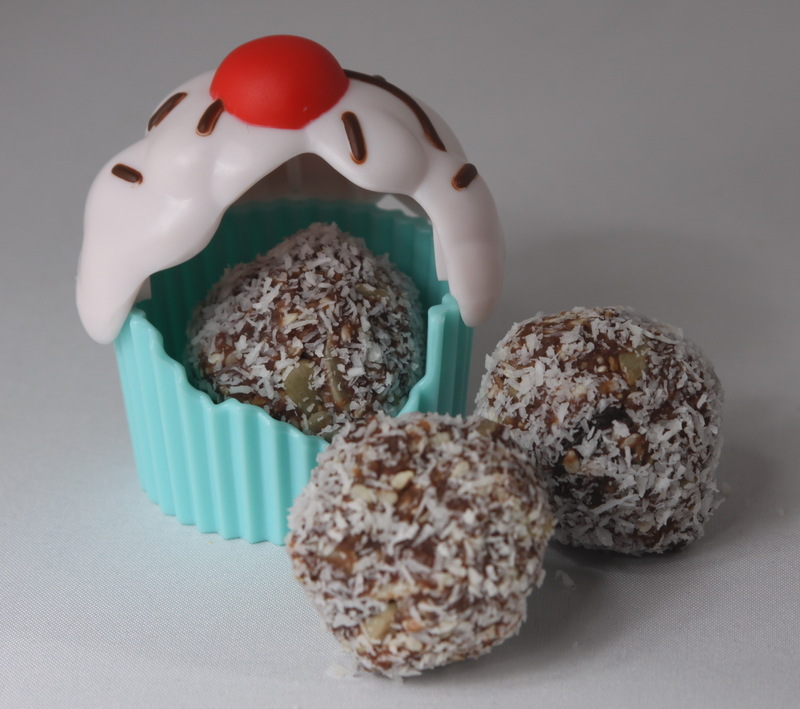 Roll the balls in a small amount of extra coconut. Place them on a cookie sheet and put into the refrigerator for 20 minutes to harden. My kids both love dessert, especially anything chocolate (must take after their mum!). I did a search for chocolate mousse and found this one on www.taste.com.au. The reviews were all fabulous so I gave it a go. It is a wonderfully rich mousse resulting in small flecks of solid chocolate through it. Even us chocoholics found the serving size a little too much and I will divide it into smaller glasses next time. Place the chocolate in a heatproof bowl over a pan of gently simmering water (don’t let the bowl touch the water). Stir until melted. Remove bowl from heat and set aside to cool slightly. Place eggs and sugar in a large bowl and beat with electric beaters for 5 minutes, or until mixture is pale, thick and doubled in volume. Fold in cooled chocolate and cocoa powder until combined.